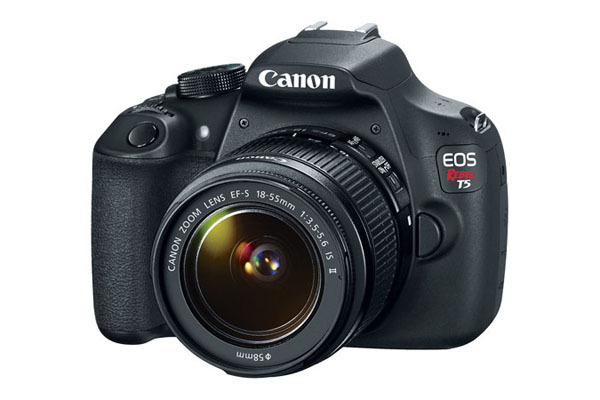 In order to recover deleted or lost photos from EOS Rebel T3i, Canon EOS Rebel T3, Canon EOS Rebel T4i, Canon EOS Rebel T5i, don't take any photos or save any pictures on your camera. Step 1. Please connect your Canon EOS Rebel or its memory card with your computer and ensure it can be recognized as a hard drive on your computer. Step 2. 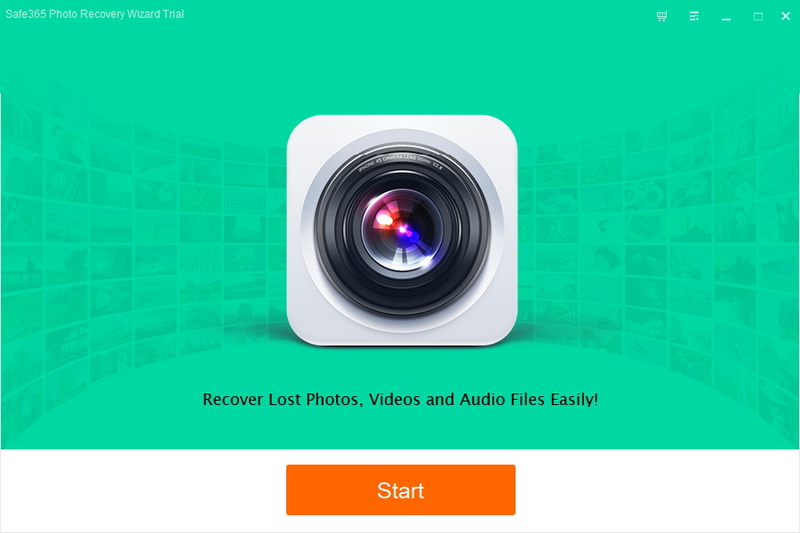 Run Safe365 Photo Recovery Wizard software and click "Start" button. Step 3. The software will display your memory card as a drive letter select it and click "Scan" button. Step 4. 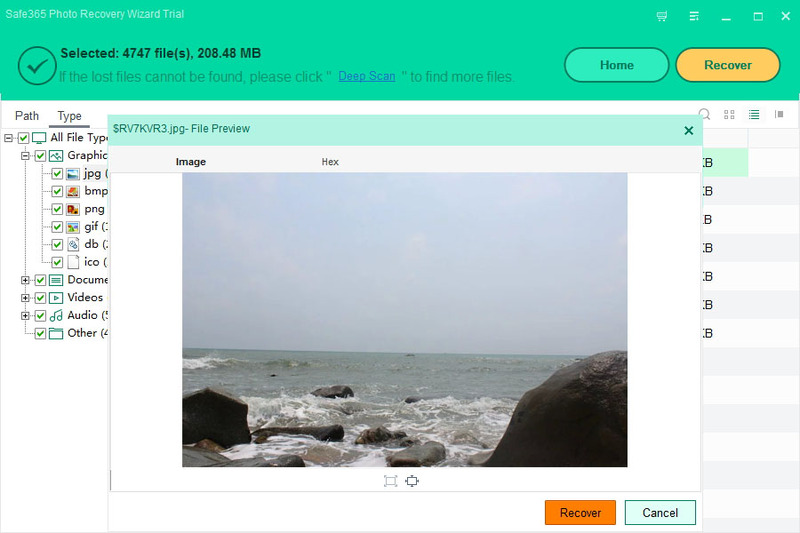 After scan, if the lost files cannot be found, click "Deep Scan" to find more files you want. The recoverable photos, videos, audio files will all be listed in the program window. You can preview them and you can also seach files which you really want to get by putting its neme or keyword into the search box. Then select files you are want to retrieve and click "Recover" button to save them on your computer. Canon PowerShot SX200 IS / Canon 100 IS / SD780 IS / Canon PowerShot SX1 IS / Canon PowerShot SX10 IS / Canon PowerShot A2000 IS / Canon PowerShot G10 / Canon 870IS / SD880IS / Canon PowerShot S5 IS / Canon 860IS / SD870 IS / Canon PowerShot G9 / Canon PowerShot G7 / Canon PowerShot A640 / Canon PowerShot A620 * / Canon PowerShot A540, etc.